Altijd een Parisienne, waar je ook bent. A couple of weeks ago I was supposed to be going to a book launch, the Dutch version of the how to be Parisian would be presented with the editors present. However unfortunately I did not feel well at all and had to cancel. Lucky me the sweet PR representatives send me the book afterwards so I could read the book and tell you all about it! 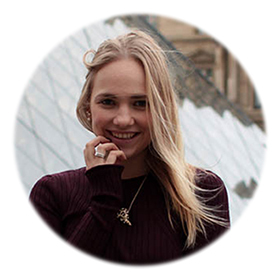 So here it is, my book review on How to be Parisian, the Dutch version! I have always been really curious about the book so as soon as I received the book I picked it up and started reading! Altijd een Parisienne, waar je ook bent (How to be Parisian, wherever you are) is a guide about love, style and bad habits. But above all a view on the Parisian culture, fashion and behaviour. From tips, to columns, recipes and how to’s the book features a lot of different aspects on how to be, a Parisian. Normally I share a trend report with you all on Sunday, but today I wanted to show you my summer musthaves. I will also tell you a bit more about why I think these items are essential in my opinion… 🙂 First of all I think a white blouse is really essential to have hanging in your closet. This items is timeless and very variable. You can actually wear a white blouse on every occasion and in a lot of different ways. For example like the blogger in the picture above. Besides a white blouse pastels are always good during summer and spring! You can not go wrong with a pastel colored blazer or jacket as it’s very easy to style with a lot of different fabrics and colors (denim, black, white, even neon’s). Where we saw a lot of lace shorts last year we will now see a lot of denim shorts with lace embellishments, which is also gorgeous! Besides the more soft colors there will also be a lot of very bright items and colors as well. I would suggest to buy color popping sneakers, like the Nike Roshe Run on the collage above (very high on my wishlist haha) or the OOAKJewelz bracelet which has an Ibiza / Indian style. Last but not least, if you have not yet bought it last year, go get yourself a pair of mirrored sunnies! 😉 What do you think of my summer musthaves? Ciao!! PS: if you are Dutch you might have seen a Dutch version of this article on It’s About Beauty where I write guest blogs once every two weeks on Friday. Today it’s time for a new musthave of the month. But since I am hooked on more than one musthave item, oops, I will show you three of my musthaves at this moment! Three musthaves which all got one thing in common. They are all blue, from pastel baby blue to sky-blue! I am hooked on pastels (mostly pink and baby blue! ), especially when combined with black and white. It has something very sweet but it’s also very chic and can even be fierce or edgy. 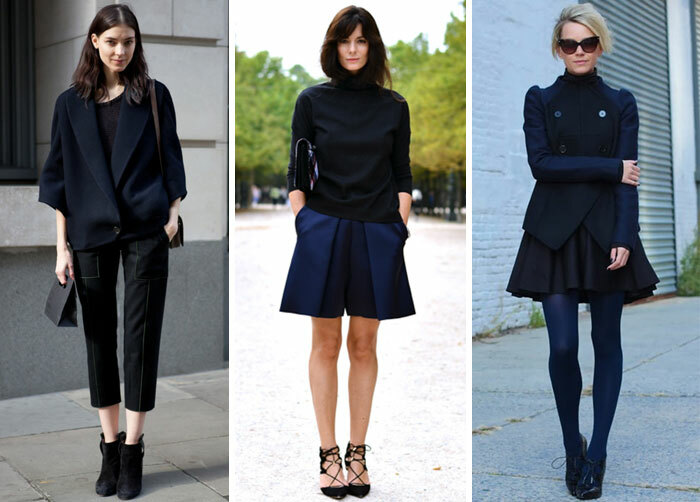 A trend that is wear-able by just everyone and for every occasion! Well you see, I am hooked on this trend and I really really hope this trend will stay for a long time! Now for the first musthave of this month: something blue special is the Double Breasted biker jacket from Zara in synthetic leather. I have seen it on some bloggers, for example We Heart Fashion and Britta Maxima and I am in LOVE with this jacket! 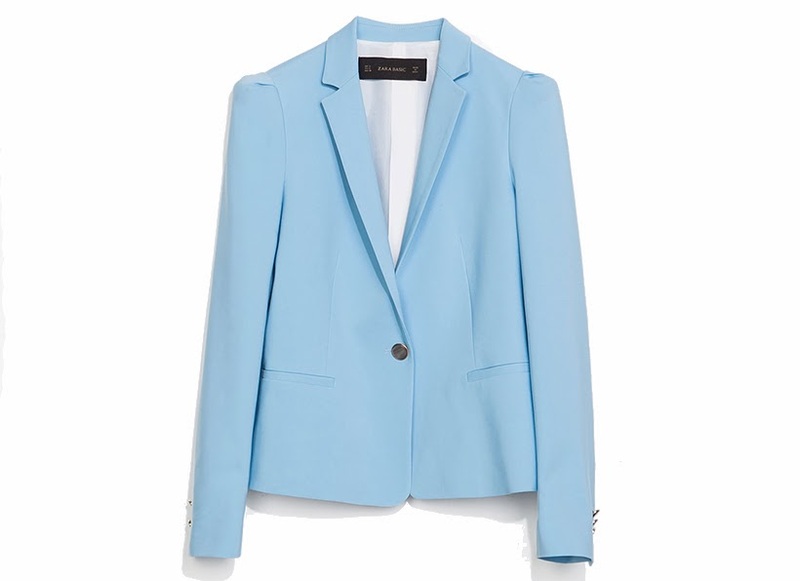 <3 You can buy this pretty baby blue jacket online or in the Zara stores for €79,95. Curious about my other two blue musthaves? Ciao!! 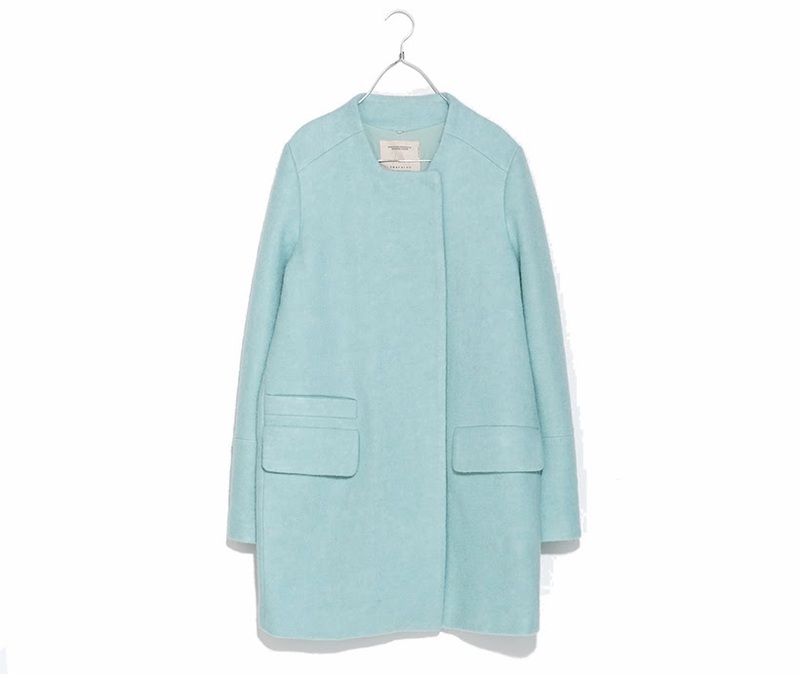 My second musthave is also a coat from the Zara. This one is sky blue and looks just perfect! But I do have a trouble with finding the perfect somewhat longer coat for me… Most of the times longer coats look like a bathrobe on me since I am pretty tiny haha…. It’s a new month so it’s time to announce this years musthave of the month! Since it’s not super cold but not warm enough for t-shirts either a sweater or jumper perfect for the weather at this moment (as I told you in this blogpost sweaters can be styled super cool!) I really like this ASOS jumper since the design is pretty basic except for the side zips! I really like side zips and am thinking about purchasing this jumper… Too bad it is not in sale yet! I really like the side zip fashion items since you can make a side split when you unzip, which looks pretty special! You can get this side zip ASOS jumper on their website for €52,06! How would you style and wear this sweater? Let me know in a comment!